Tropical Colours: Say no to gooey nail polish! I have heard about this but haven't actually tried it. Did it affect the color payoff at all? 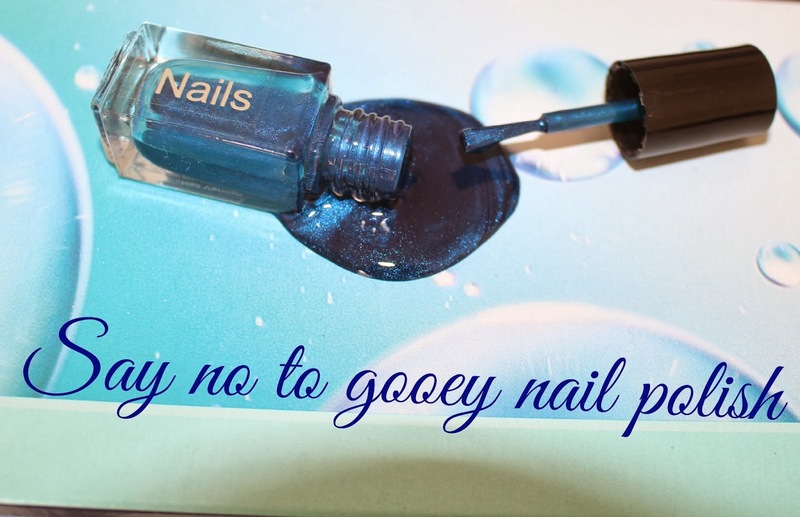 I saw this title and had to laugh because I thought to myself 'Say no to ALL nail polish', because I just can't stand the smell! That's why I never get them done, even though they look so nice. The nail polish in the picture is such a pretty shade. I have never heard this trick before but it makes perfect sense. Great post! I have tried this before and it definitely works! Great way to save your nail polish! !